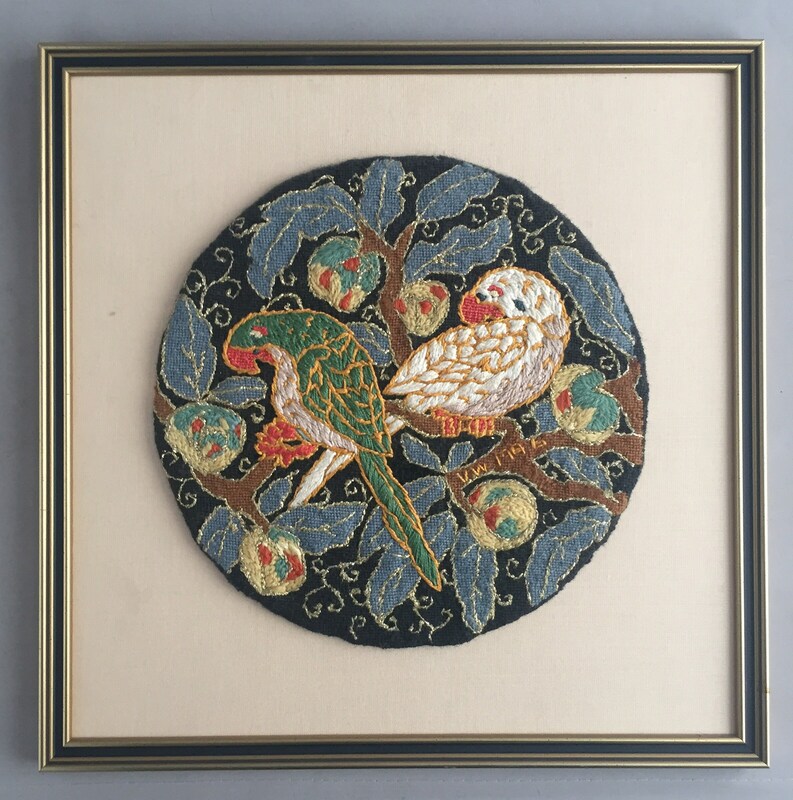 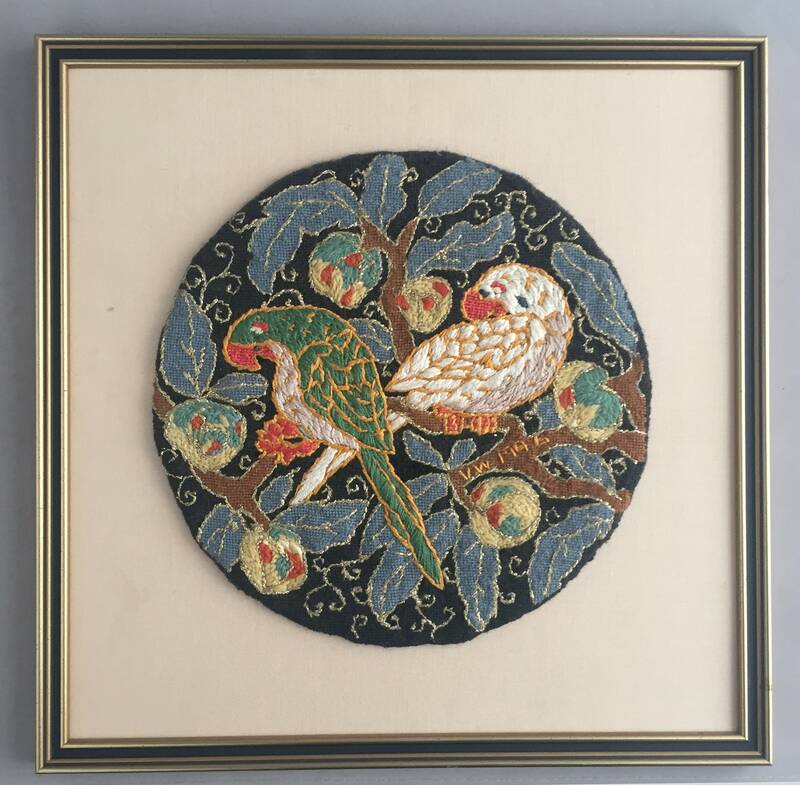 A beautiful framed embroidery cross stitch picture depicting 2 parts in some foliage . 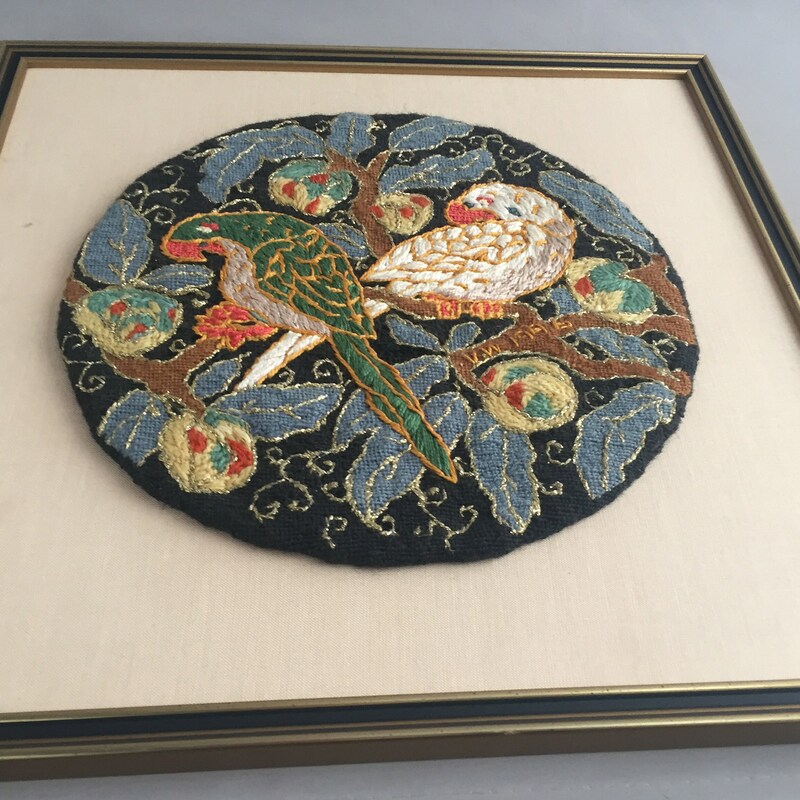 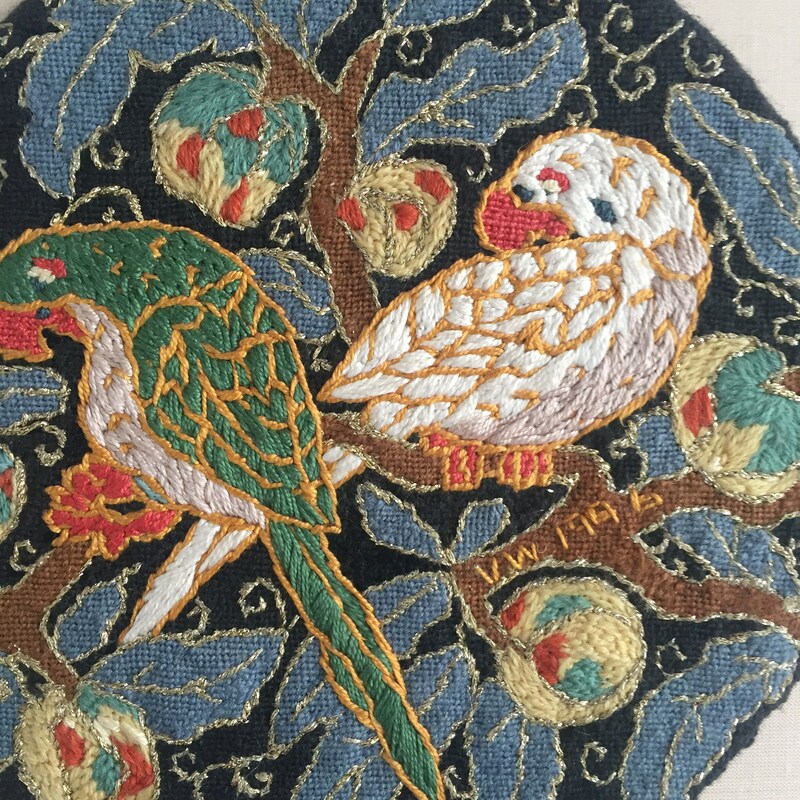 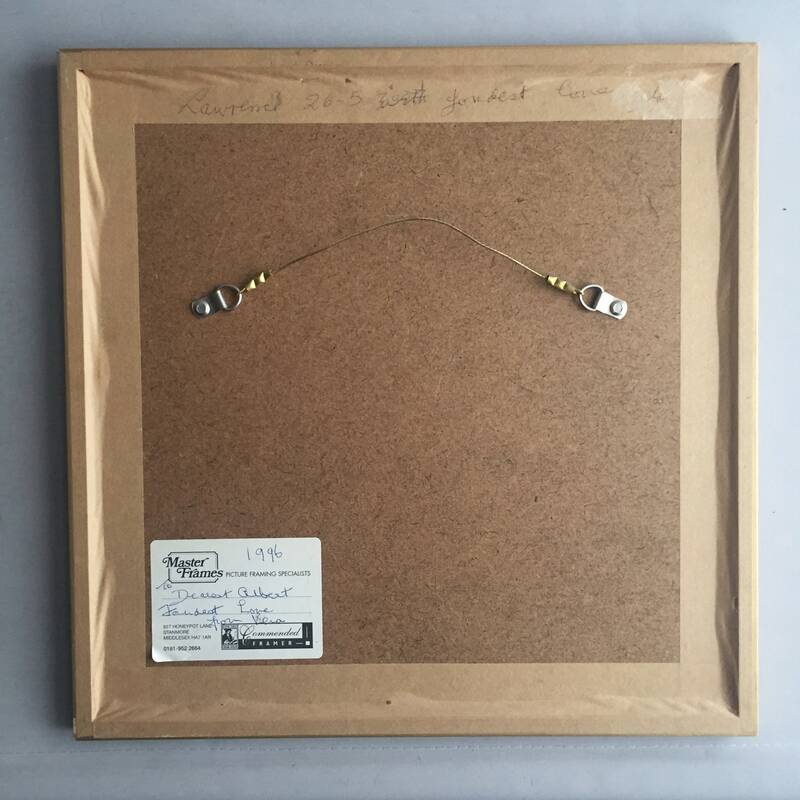 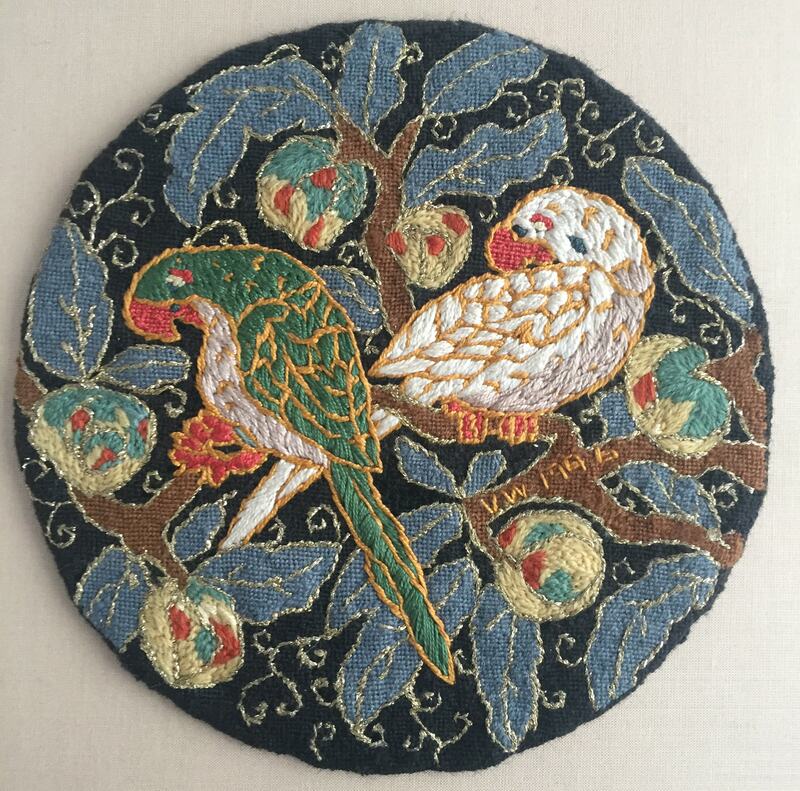 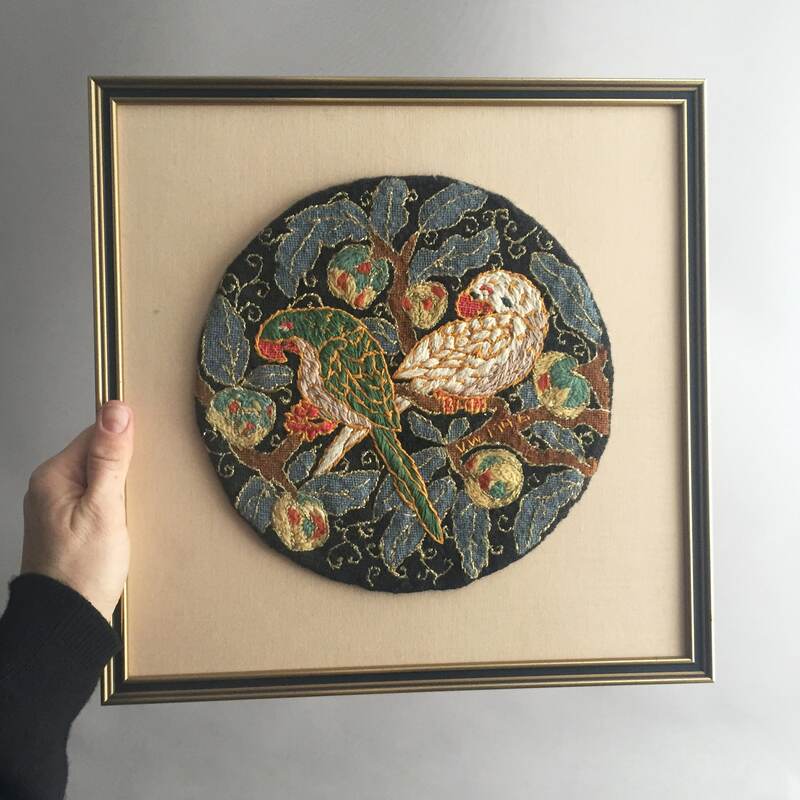 There is no glass on this picture ,the circular embroidery piece is mounted on a textile backdrop. 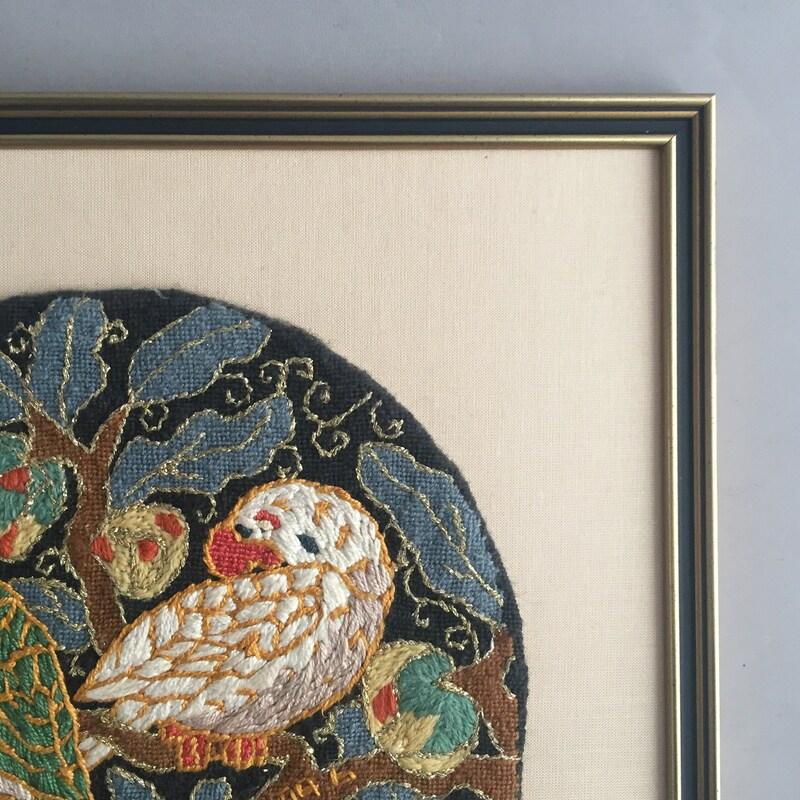 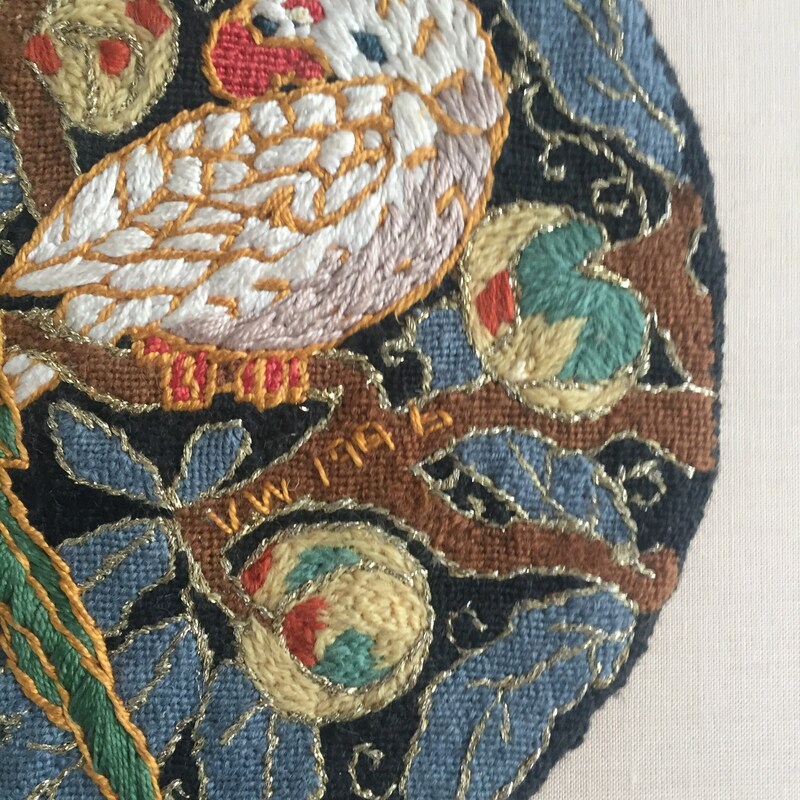 Wonderful stitch work and colour pallet with a thread of gold.